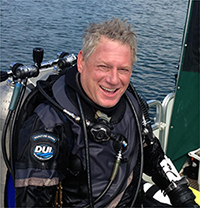 Lake Travis Scuba offers full training and certification from beginner through advanced, all specialties, sidemount, solo, decompression plus full technical diving and American Heart Association Heartsaver CPR/AED/First Aid (for adults, children and infants). Courses are worked around your schedule and prices include books plus charters (up to 4 dives) aboard Giant Stride - it’s pretty much all inclusive. Classes are scheduled to meet your needs, with one-on-one instruction to maximize the learning the experience. Other courses available, contact us for more information and scheduling. * Weights provided on Giant Stride. American Heart Association Heartsaver CPR/AED/First Aid $75 (For adults, children and infants) Heartsaver® CPR/AED/First Aid is a classroom, video-based, instructor-led course that teaches students critical skills needed to respond to and manage a first aid, choking or sudden cardiac arrest emergency in the first few minutes until emergency medical services (EMS) arrives. This course teaches adult/child/infant CPR, AED use and First Aid. Students learn skills such as how to treat bleeding, sprains, broken bones, shock and other first aid emergencies.